Extreme sports lovers have been struggling to find appropriate places to develop their skills for decades. Skateboarding, longboarding, inline skating and BMX were hated by store owners and police officers before skateparks were invented. Actually, first years of skateboarding (when riders used those surf-shaped skateboards without grip tape), during the big drought that California experimented in 1976, people used to skate on the empty backyard pools and cruising out on the streets (where current longboarding comes from). Nowadays, we have options. There are skateparks in almost every size and shapes. Skateboarding innovation has been evolving so fast the last few years. 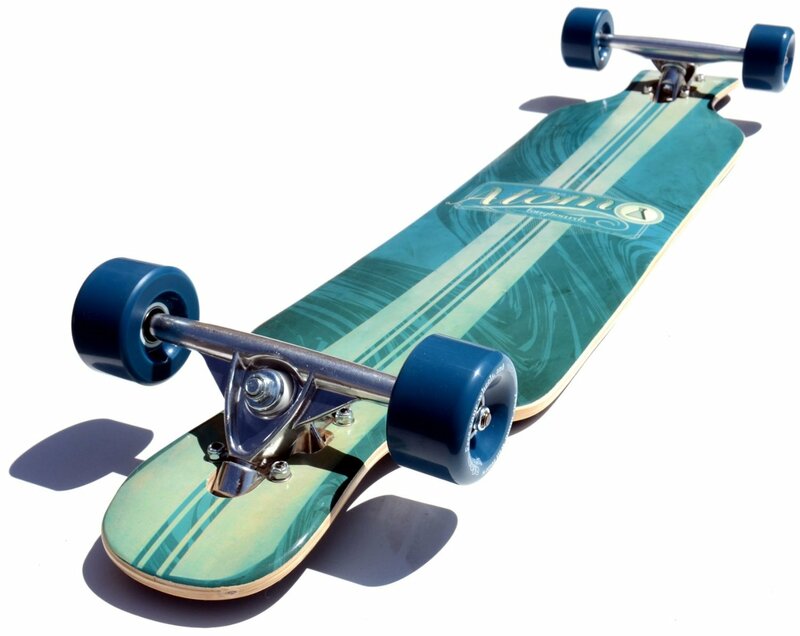 But, for longboarding, is another story. There are not places specifically created to people who love longboarding. As riders, we know how hard it can be finding a place where we can enjoy the cruise without being annoyed by cars, little stones or distracted people across the street. That is why the city of Kamloops has designed and built the world’s first longboard park. This park has been designed specifically to mastering the fine art of longboarding. Professional skateboarders, engineers and architects worldwide managed to create a top-notch longboard park that will provide the funniest experience to the riders. 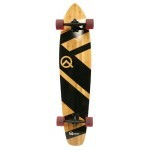 If you are a beginner longboarder, this is your best choice. This route allows you keep your speed and enjoy the cruise with minimum difficulty. 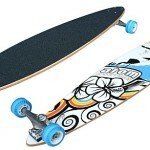 You can practice your slides, carves, tricks, develop skills and increase your level as longboarder without hurt you. Also, if you like speed, but not sharp bends, the easy route provides you a long road to enjoy your cruising. This route has more sharp bends and inclined roads. If you are the kind of longboarder that enjoy testing their skills at the highest level of risk, this route will provide you a top-notch riding experience. Although both routes are designed at the highest level of safety, it is recommendable using protection equipment such helmet, elbow pads, knee pads and gloves all the time, even if you will choose the easy route. That way you will enjoy your riding, increase your level and develop new skills with minimum risk. Landyachtz longboards were the first longboarding team in record a skating video on this new park. In the video, we can see renowned riders and local skaters testing the park and demonstrating great slides and taming the dangerous bends with the style that Landyachtz is worthy. Between those riders we can find Danny Smith, Charlie Darragh, Katie Neilson, Nick Hurley, Dillon Stephens and others. 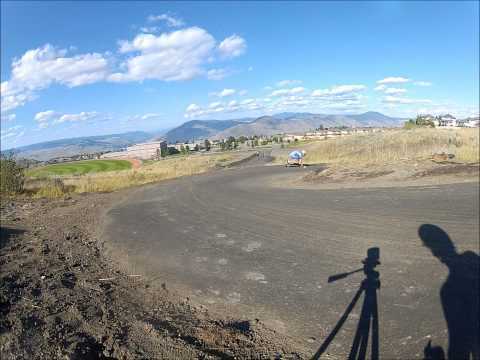 The brand new longboard park is attracting daily visitors and increasing tourism in Kamloops, British Columbia. 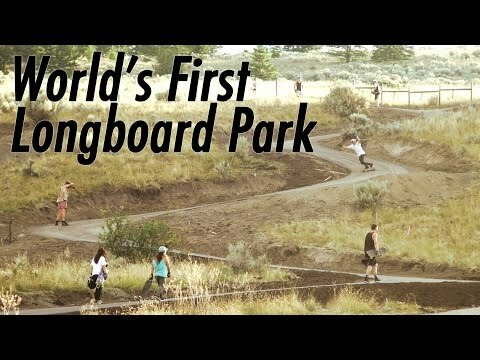 Hopefully this park inspires other cities to starting design and develop longboard parks such Kamloops. That way, skaters will have more safety places to ride, practice and increase level of sport. It is time to develop a new wisdom in society and start to change how longboard sees itself by developing this kind of projects.